Sydney-based Software as a Service (SaaS) solutions provider, Reffind Ltd. (ASX:RFN), this morning announced that it has initiated steps to purchase a circa 15 per cent stake in Loyyal, a technology company that has developed a leading loyalty platform within the blockchain space. The deal will see RFN become the largest single shareholder in Loyyal and exercise its right to nominate a Board member to represent RFN on Loyyal’s board. RFN’s investment in Loyyal is comprised of up to US$2.3 million split into two tranches. The first tranche will consist of a subscription for US$800,000 in 2-year convertible promissory notes, convertible at RFN’s discretion at an enterprise value of US$16.5 million. From the perspective of functionality, the deal will mean RFN has exclusive access to Loyyal’s technology including its proprietary loyalty platform. RFN intends to leverage Loyyal’s market position and digital market access to over 4.5 billion people, to improve its commercial position and generate revenue in the Asia/Pacific region. 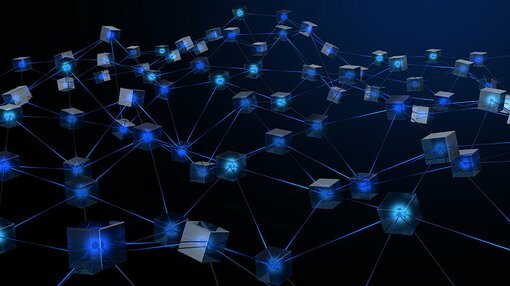 Loyyal’s blockchain-focused platform carries functionality which RFN can potentially leverage in the wider market, alongside the broad-based growth seen in blockchain acceptance and utilisation — especially by small and large businesses seeking to secure and scale their operations efficiently. Another key service made possible by Loyyal’s platform, and something RFN plans to implement as a matter of priority, is ‘white-label’ functionality. The platform can be white labelled or offered directly to large enterprises and loyalty program operators, purely as a technology licensing service. As validation of its activities, Loyyal has quickly attained market share and attracted several ‘Fortune 500’ companies as clientele including the likes of Deloitte and Dubai Points. Understandably, RFN remains tight-lipped about its other client-service deals, although it does admit that a ‘large global airline’ and a ‘large US financial services company’ have been confirmed as clients with details kept under wraps for confidentiality reasons. In parallel to its flurry of collaborative deals in the blockchain space, RFN is also attempting to bolster its own ranks internally, by recruiting several prominent names from Fintech sector with extensive expertise in blockchain and e-commerce. Earlier this month, RFN appointed Tim Lea, a blockchain expert as its new CEO who is expected to lead RFN’s newly-found market direction. Additionally, RFN has recruited strategic global blockchain industry advisor Matthew Hamilton and local Aussie blockchain authority David Jackson, to its board. RFN and Loyyal’s proposed transaction is expected to be formally completed by 15 January 2018, following a brief due-diligence period. In other news today, RFN has received a $1 million investment from Chapmans Limited (ASX:CHP). The investment consisted of a $1 million participation in Reffind’s recent placement at an average price of 2.43 cents per share. Combined with the its existing shares held in RFN, CHP is now the largest shareholder. Chapmans’ 48,129,521 shares from a total of 515,500,000 shares issued represent a 9.33% holding.